ON ANY given day, one in 10 people will feel lonely. Perhaps you're one of them, or know someone you suspect is lonely. 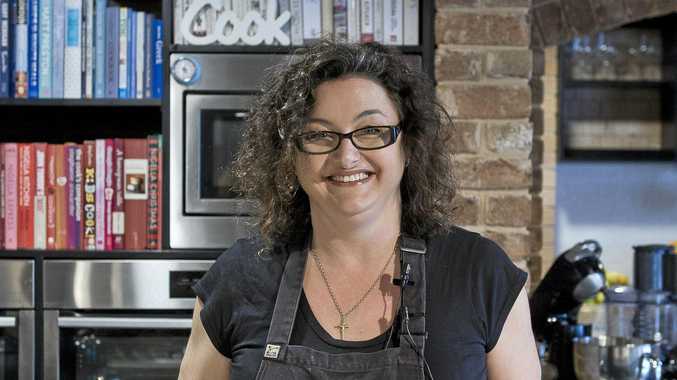 From her earliest days on MasterChef, Julie Goodwin has advocated cooking as a way of bringing people - family, friends and neighbours - together, making her a perfect ambassador for Neighbour Day on March 31. "I'd love to encourage all Australians to connect with the people next door, across the street, maybe even on the next farm and, of course, I reckon the best way to connect with people is by sharing food," Julie said. Loneliness: What Neighbours Can Do to Create Connections is the theme of this year's Neighbour Day, aimed at building better relationships with the people who live around us, especially the elderly and vulnerable. It could be a few friendly words across the back fence, inviting an elderly neighbour in for a cuppa, seeing if they need help in the garden or something from the shops, organising a walking group, sharing some baking or produce, or stopping for a chat when you're out with the dog, or at the shops. "We will be encouraging you to take the initiative and think about those who live around you who might not be able to get out, or have friends or relatives close by, those who could do with some companionship or help," said Neighbour Day campaign manager Sam Robinson. If you are feeling lonely yourself, Neighbour Day also encourages you to reach out to others, to talk to neighbours, join a group or volunteer. For Julie, food is a great way to make that connection, whether it's a sausage sizzle, a cuppa and cake, sharing your cooking, or organising a street party or a dinner with the next-door neighbours. "Getting together can transform and strengthen the relationships with the people around us," she said. "Food connects us, it nourishes us, and the sharing experience creates wonderful memories and strong communities." Julie recalled her first experience cooking with quinces in 2012 was the result of the sort of simple neighbourly experience Neighbour Day promotes, with her sister Debbie welcomed to a new rural community with a bundle of fruit and vegetables, including quinces, grown on the neighbour's property. Relationships Australia says the world is in a loneliness crisis, with households being time-poor and more screen-based, leading to reduced community connection and fewer people knowing, let alone interacting with, neighbours and other community groups. A Relationships Australia survey last year found that almost 1.5 million Australians report having been lonely for a decade or more, with loneliness associated with social anxiety, poor mental health, an increased risk of coronary heart disease and stroke, high blood pressure and the onset of disability. To get involved, go to neighbourday.org. To find some of Julie's favourite recipes for gatherings, go to juliegoodwin.com.au. For volunteering info see volunteeringcentralcoast.org.au or phone 02 4329 7122.